EN396:1993/A1:1998 and refer tointernational standard MSC.8170) relevant requirements. or manual inflation device,CO2 cylinder,oral inflation tube; and outer cover. the automatic inflation device within 5 seconds or by manually pulling the toggle. easy to use. 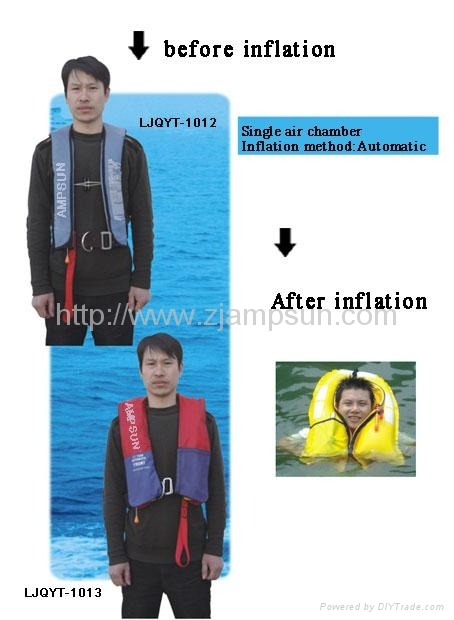 It’s suitable for offshore operation personnel’s lifesaving use. It’s also used as personal protective sportswear.